This is the end of the Searching in Zimbra series, and it is a chance to repeat this post. 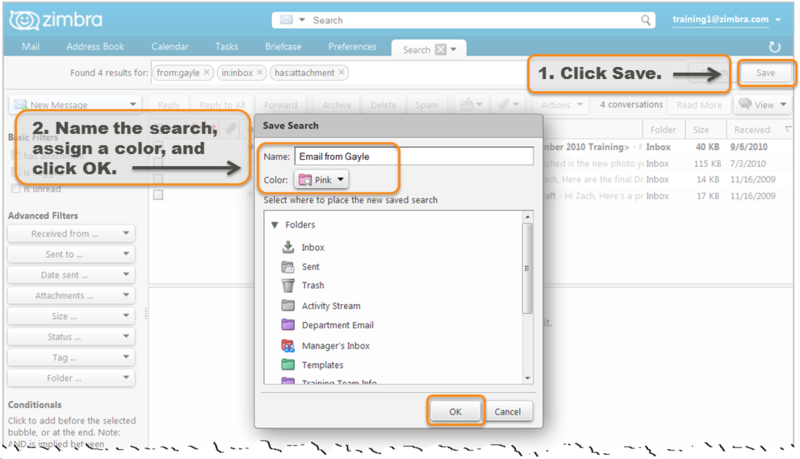 Did you know that you can save your searches to run whenever you need? 1. Create a search, and click Save in the Search tab. 2. Name your search, assign a color, and click OK. The search is listed in the Searches area of the navigation pane. 3. Click to run the search at any time. 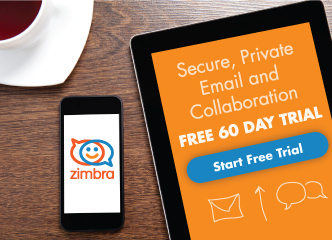 This feature is available in the Zimbra Web Client and Zimbra Desktop versions 6.x and later.